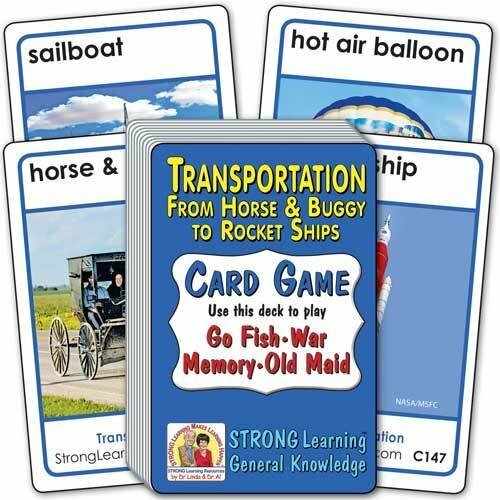 Learn about Transportation: From Horse & Buggy to Spaceships while playing popular card games. For this deck, matches are two identical cards. Both cards of the matching pair have the type of transportation and a picture.